Haq's Musings: Foreign Aid to Pakistan: Blessing or Curse? In addition to being recipients of foreign aid, most African countries are also rich in resources ranging from oil and gas to diamonds and metals. Yet, their people are among the poorest in the world. Why is it? The biggest reason appears to be their corrupt leaders who pocket most of the proceeds from mining. They also siphon off a big chuck of foreign aid left after paying the expensive western consultants employed by aid agencies. So where does Pakistan stand in this mix? 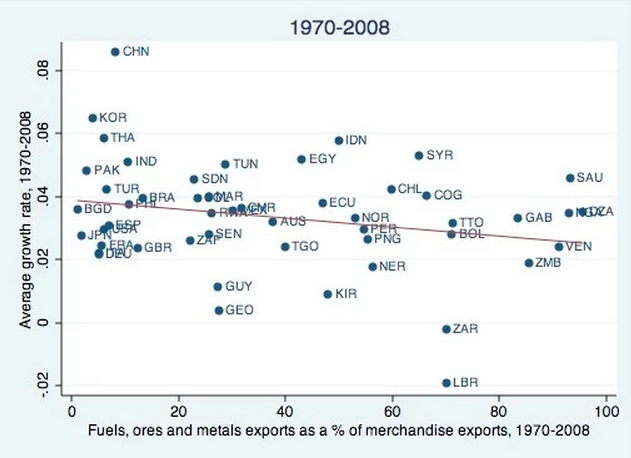 Charts published by Washington Post show that Pakistan, in spite of not being a major exporter of minerals, enjoyed an average economic growth rate of about 5% from 1970 to 2008. This is about the same as India's but higher than Brazil's and Turkey's GDP growth rates. The economic growth rates for China and Korea are much higher than Pakistan's in this period. 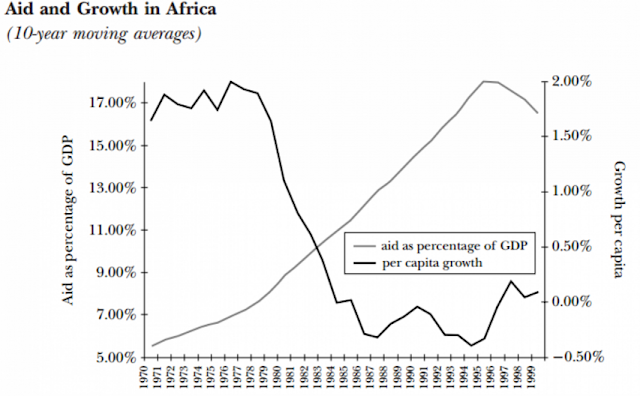 Foreign aid to Pakistan has also been more effective in promoting economic growth than much of Africa. Even Dambisa Moyo, author of "Dead Aid" and a critic of western aid, acknowledges that the US aid for "the Green Revolution in India (and Pakistan) played vital roles in economic (re)construction" of the South Asian nations in 1960s and 1970s. The South Asian subcontinent could have faced starvation without this aid. One of the key reasons for the success of Green Revolution was the ability of the human capital in India and Pakistan to absorb the technological knowhow that it brought along with money. Ms. Moyo offers the same reason for the success of Marshall Plan aid in Europe. US aid to Pakistan after the Green Revolution has been much smaller as percentage of the nation's GDP and much less effective. Total foreign aid to Pakistan has dramatically declined from a peak of over10% of GDP to less than 2% of GDP now, too little to impact economic growth even if it is utilized better. The expected size and speed of the Chinese FDI of $46 billion in energy and infrastructure is much more likely to spur Pakistan's economic growth than the western aid has been in the recent past. It will put Pakistan on a path to rely much more on investment and trade than on aid or debt for its foreign exchange reserves. There are some misconceptions in how foreign aid works. The aid is used by the generous nation in paying for the supplies that it wants to send to the receiving nation. Up to 85% of all USAID funding allocations go to US contractors/ suppliers/ NGOs. USAID pays for GMO seeds, made my Monsanto, to ship to Pakistan. Keep in mind GMO seeds are modified so that their output is higher by sacrificing the need to divert resources to produce offspring seeds. All the while the seeds have to be transported on US owned/flagged transport vassals. Most of the time these conditions are to reform corrupted/ rotting public institutions, matching funding for certain industries (health care/ education) to offset fungibility. Now all of this is good and bad. Lets just take the Foreign Aid offered by the US. The requirement for 85% of all the aid funding be used to pay for services and goods supplied by US owned companies provides the quality guarantee. Malaria, Smallpox, Polio are being eradicated thanks to the quality standards set by the FDA in producing the vaccines and mosquito nets. All despite the fact that Aid towards healthcare received the lowest percentage of funding. Many times holding a carrot with a stick offers greater incentive than just using a stick to force reform. Countries that took aid from the IMF and carried out the austerity measures experienced greater economic growth in the long-term. Minister for Finance Senator Ishaq Dar on Sunday said that the government would be able to overcome the energy crisis by early 2018 by adding 10,000 megawatts more electricity to the national grid. “Currently we are facing a shortfall of about 5,000 MW of electricity whereas energy projects of 24,000 MW are under process and some of them will start generating 10,000MW by the end of year 2017 or early 2018,” he said while addressing a ceremony organized by Old Hailians Association here. The remaining projects of 14,000MW, he said, would start adding electricity to the system by 2020 which would help boost economic activity and industrialisation in the country. The minister said two mega hydro power projects, Dasu and Diamir Bhasha dams, were also in progress, which would not only help overcome the energy crisis but also store water for irrigation purpose. “Diamir Bhasha Dam will have the capacity of 1.3 trillion cubic feet water,” he added. Ishaq Dar said the government was also working on civil nuclear energy projects, which would add 1,000MW electricity to the system in next seven years. He said that before the year 2013, the country was on the verge of becoming a defaulter as the foreign exchange reserves had gone down to below $8billion and no international monetary institution was ready to lend money to it. However, the Pakistan Muslim League-Nawaz (PML-N) after coming to power, worked hard to bring the country out of the financial crisis, he added. Moreover, the minister said, the tax to GDP ratio had also increased from 9 percent to 11 percent and revenue growth rate also surged from 3 percent to 15 percent. Now the world renowned fiscal institutions were praising Pakistan for its amazing economic development and had rated its economy as stable, he added. Dar said if Pakistan continued its journey on the road to progress which it had witnessed during previous two years, it would become the world’s 18th major economy in 17 years. He said that the PML-N was strictly implementing its manifesto announced during the 2013 general election, in which it had vowed to steer the country out of four crises. “The country was facing 4 E challenges ( Economy, Energy, Education and Extremism) at the time the PML-N government came into power, which have now been overcome due to its prudent policies,” he added. Yes, it does look like Aid reduces economic growth. The problem with China's investment in Pakistan is that it is more likely to help China . . . they want the deep water port in Gwadar, and now they are rebuilding the highway to get there . . . .straight down through Pak. Anne: "The problem with China's investment in Pakistan is that it is more likely to help China . . . they want the deep water port in Gwadar, and now they are rebuilding the highway to get there . . . .straight down through Pak." Actions of all investors, be they Chinese or Americans, are not guided by altruism. Pakistanis accept such investment because they too benefit from it. All such arrangements have to be win-win to sustain. China may be the world's second-largest economy behind the US, but it has more money in the bank than any other country. Indeed three of the world's 10 biggest sovereign wealth funds are Chinese, together holding more than $1.5tn (£988bn) in assets. And despite the slowdown in the Chinese economy in the past five years, the government has been putting this money to good use, particularly so since it recovered from the global economic slowdown sparked by 2008's financial crisis. In fact, overseas investments have grown from $20bn in 2005 to $171bn last year. And, as the chart below shows, the UK is one of China's favourite places to invest. In the first half of this year, Chinese investment in the UK fell sharply - just $1.8bn compared with more than $8bn in the whole of 2014. But this figure is likely to be boosted significantly this week with the announcement of a number of deals while President Xi Jinping and his delegation visit Britain. Backing for a new nuclear power plant at Hinkley Point in Somerset could well be announced, while a separate deal for another nuclear plant at Bradwell in Essex has also been mooted. If these and other deals like them don't come off, then the UK could well slip behind Italy - which has seen huge inflows of Chinese cash in the past two years - as China's favoured European investment destination. Almost half of all China's global investments have been in the energy sector, many of them designed specifically to provide power for the Chinese. While the country's overall population may not grow significantly beyond its current 1.4 billion, an explosion in the middle class as wealth increases will see demand for energy rocket. And as China develops technologies to satisfy this demand, it will become increasingly keen to export them. This is precisely why China is so keen to showcase its nuclear technologies in the UK. But energy has not been China's primary interest in the UK. In fact, property investments far outweigh those in energy. The motivation here is far more straightforward - profit. The Chinese simply see UK commercial property as a good bet. Unsurprisingly, this is also the main motivation behind the huge sums of money China has pumped into the UK's financial sector. The launch of a $17 million collaborative project linking UC Davis and Pakistan’s leading agricultural university was celebrated today at UCD, which will receive $10 million of the funds. The new U.S.-Pakistan Center for Advanced Studies in Agriculture and Food Security, funded by the U.S. Agency for International Development, will make it possible for faculty members and graduate students from both countries to study and do research at each other’s campuses. The project also is designed to update curriculum and technical resources at Pakistan’s University of Agriculture, Faisalabad. Present for today’s ceremonial launch were dignitaries from Pakistan, USAID and UCD. “UC Davis has been partnering with colleagues in Pakistan since 2009, sharing expertise in agriculture from crop production to post-harvest handling,” said James Hill, associate dean emeritus of International Programs for the College of Agricultural and Environmental Sciences at UCD. “Establishment of this new center will allow us to build on those efforts, with a renewed emphasis on an exchange of faculty and graduate students,” he said. During its first year of funding, the center will plan several workshops to assist the University of Agriculture, Faisalabad, with technology transfer and entrepreneurship to strengthen its connections to the private sector. UCD also will initiate programs in both research and curriculum development to improve graduate studies. Hill noted that two other Pakistan-focused projects are already underway through the International Programs office, primarily in the area of horticultural crops and agricultural extension activities. Agriculture is the largest sector of Pakistan’s economy, providing jobs for half of that country’s labor force. Some of the traditionally important crops in Pakistan are wheat, cotton, rice, sugar cane and maize. In recent years, crops like beans, peas, lentils, onions, potatoes, chilies and tomatoes also have increased in importance, along with fruit crops such as citrus and mangoes. The newly funded center at UCD is the most recent of several partnerships of the U.S.-Pakistan Centers for Advanced Studies, a $127 million investment from USAID, linking universities in the two countries and using applied research to solve Pakistan’s challenges in energy, water and food security. The overall program includes construction of laboratories, research facilities and libraries in Pakistan. Other participating U.S. universities include the University of Utah and Arizona State University, focusing on water and energy, respectively. Deaton, however, believes that the poverty rates could be even higher. There is surely some omission in the surveys, which would mean that poverty is understated", Deaton told Hindustan Times in an interview. He also said that the economic growth in India is not as high as the government presents it to be. India is said to be world's fastest-growing economy at 7 per cent growth rate. "Everyone's data can be improved. I think it is widely recognized that the national accounts in India are relatively weak. So what I am most worried about is that growth is not as high as the accounts show. Revisions that increase growth are more readily accepted than revisions that reduce growth. So I am more worried about growth being overstated than poverty being understated," he added. According to Deaton, the Indian government needs to invest more in nutrition, health and education of the young generation of the nation if it wants to overcome the growing poverty rate. "Yes, though there are organizational and capacity problems that need to be overcome. In places where services don't work, for example, because of absenteeism, putting in more money is unlikely to help. But if other states can emulate the better services in the south, with more people demanding health and education, then we can make progress, and to do that, we will eventually need more money," he said. Deaton, the Princeton University Professor, has done a thorough analysis of consumption and poverty in India. He contributed majorly to estimating India's poverty rate in 1990s with his work on India's malnutrition. European Union will provide assistance of six hundred and fifty three million euros to Pakistan for rural development and reduction of poverty. A memorandum of understanding for the EU’s Multi Indicative Programme (2014-2020) with a commitment of €653 million was signed between the government of Pakistan and European Union. The signing of the agreement was witnessed by Minister for Finance and Economic Affairs Senator Ishaq Dar and ambassadors and representatives from EU member states. The minister on this occasion said that the government appreciates the development assistance being given to Pakistan by EU. He appreciated the fact that the new MIP was almost double the amount of the previous programme. He said that building a stable, democratic and economically vibrant Pakistan was the aim of the government. He said that the government was committed to achieving this objective and called upon the EU and its member countries to support Pakistan in this regard. EU Ambassador Jean-Francois Cautain said that the €653 million EU multiannual indicative programme for Pakistan set out the EU’s development strategic objectives in support of a stable and democratic Pakistan, in line with the EU-Pakistan five years engagement plan 2012-2017, which framed the relationship between the two sides. Japanese Envoy to Pakistan Takashi Kurai on Saturday said his country is Pakistan’s third largest donor. He was speaking at the 65th anniversary of diplomatic relations between Japan-Pakistan. The event was organised by the English Speaking Union of Pakistan. Kurai said that in the 90s Japan was the biggest donor of Pakistan. He said Japanese companies want a more stable environment in Pakistan for more investment. He said that the Prime Ministers of both countries had not visited each other’s countries for a long time. He hoped that these visits would take place in the near future. He said Japan supported Pakistan in healthcare, education, infrastructure development and other fields. The envoy also said that both countries established diplomatic relations in 1952 and since then they have enjoyed excellent relations. He said Japan is the only country that faced the horrors and destruction of the atomic bombs during WW2, but the Japanese showed resilience and patience and made the country’s economy stable. Khalid Malik, president of the English Speaking Union of Pakistan and secretary general Muzafar Qureshi thanked the Japanese ambassador for attending the ceremony. They also praised his efforts for further boosting bilateral relations.